Teaching Respect and Equality by Joe B.
I have been a high school health teacher for 9 years in a school outside of Seattle. I advise the Gay-Straight Alliance Club, teach students about respect and equality, and also find time to Volunteer in my community. I volunteer many hours a week at GLSEN (Gay, Lesbian and Straight Education Network) Washington State because I think that it's important work to do. There needs to be people out there teaching students, working with staff and helping GSA advisors do what's best...making sure we spread the message that bullying and harassment for sexual orientation/gender identity or against anything else.. is wrong! 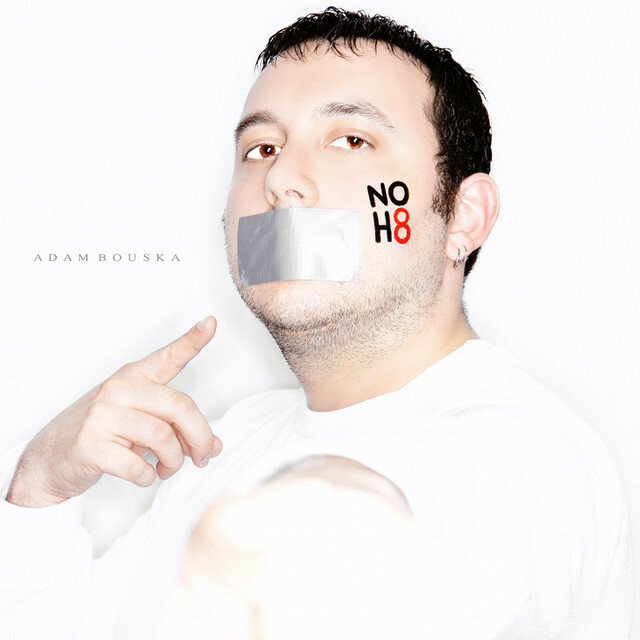 I did this NOH8 photo to be a role model for my students. I need to show them that standing up for what you believe in is important. Now here's the proof. I'm right there with you, Joe. I am a health education teacher in Illinois, and my former district had shot me down repeatedly to form a Gay-Straight Alliance Club despite my students' desires to have a group that advocates understanding and positive conversation about each other... they said it is on the grounds that the communities they serve would find it offensive, since it is a very conservative area. To help aid my students' frustrations and fears of being ostracized and marginalized, I had led informal group conversations and meetings with these students so I can do my best for them. Because of this and other reasons, I was denied renewal of my contract and was terminated from my position. It is truly a tragedy to lead these students to believe that not only their communities may judge them unfairly and not care about them, but their school district as well. We are all God's children, and we were made perfectly and to be equal in every way. I'm right there with you, Joe. I am a health education teacher in Illinois, and my former district had shot me down repeatedly to form a Gay-Straight Alliance Club despite my students' desires to have a group that advocates understanding and positive conversation about each other... they said it is on the grounds that the communities they serve would find it offensive, since it is a very conservative area. To help aid my students' frustrations and fears of being ostracized and marginalized, I had led informal group conversations and meetings with these students so I can do my best for them. Because of this and other reasons, I was denied renewal of my contract and was terminated from my position. It is truly a tragedy to lead these students to believe that not only their communities may judge them unfairly and not care about them, but their school district as well. We are all God's children, and we were made perfectly and to be equal in every way.